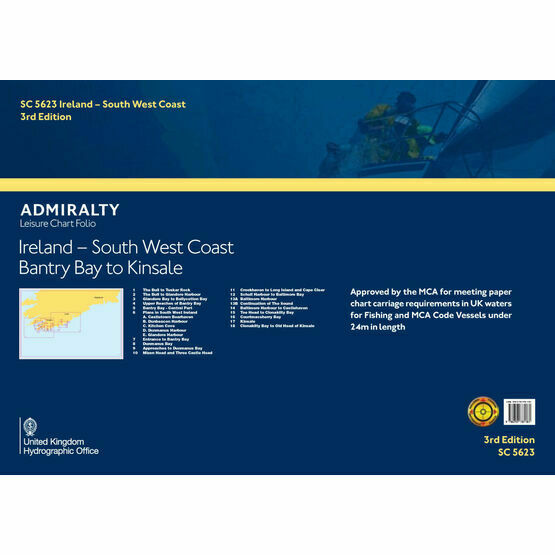 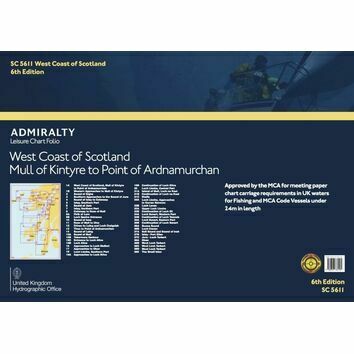 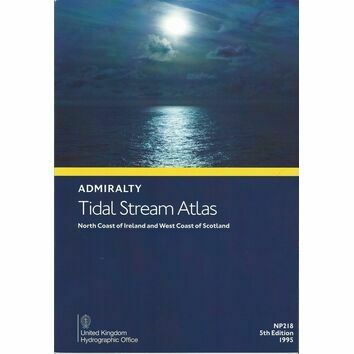 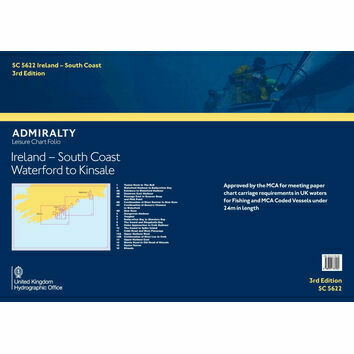  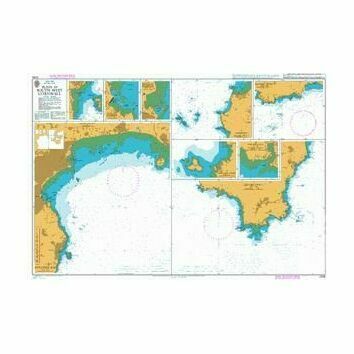 This admiralty folio collection compiles a series of paper charts showing coastal information for Ireland’s entire South West Coast, from Bantry Bay to Kinsale. 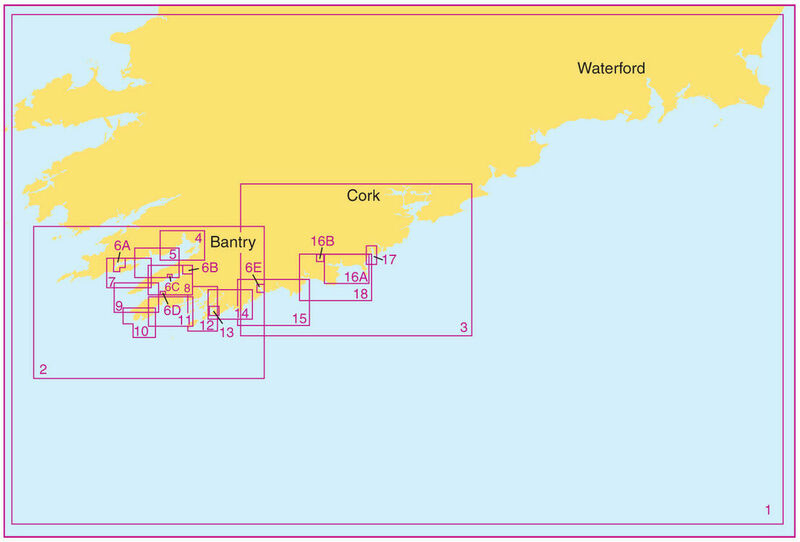 The prevailing wind of Ireland blows in from the Southwest; breaking on the high mountains on the west. 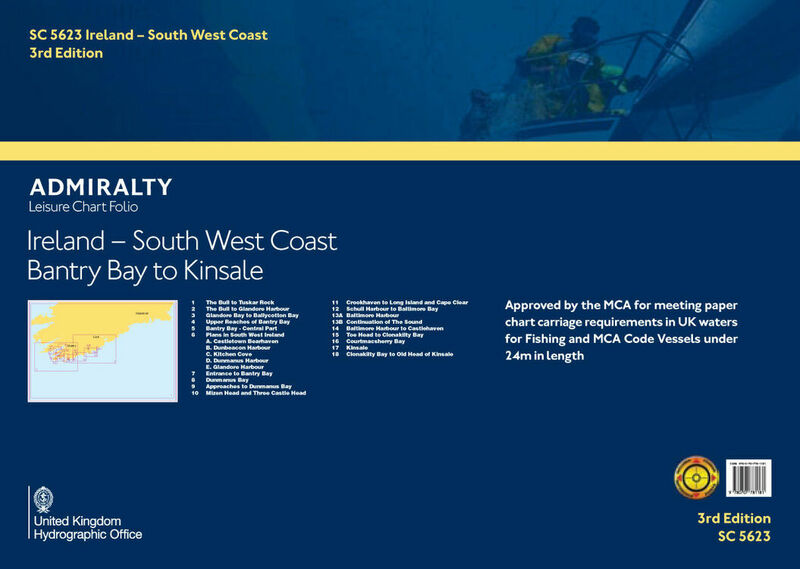 The southwest is known for its peninsulas, with some in the county of Cork including Beara Peninsula, Sheep's Head, Mizen Head and Brow Head. The latter is the most southerly point of mainland Ireland.